Your “welcome aboard” the magnificent True North is in the frontier port of Wyndham. Embarkation is at 1700 – time for a cocktail with your fellow adventurers before departing at approximately 1730. Then introduce yourself to the delights of TRUE NORTH’s revered dining saloon as we begin an overnight cruise to Cape Domett. Let the action begin! The expedition boats will be away early for our first ‘crack at the fish!’ Your guides will take the expedition boats deep into the mangroves on this eastern side of the Cambridge Gulf where hopefully it will be time for an early introduction to one of the Kimberley’s most famous residents – the mighty barramundi! Fingers crossed we can lure some of these prized fish into the expedition boats for some even more-prized photo opportunities! After lunch trolling in the Cape Domett area is likely to produce hefty pelagics such as arm-wrenching trevally and lure smacking mackerel. A couple of good-sized goldens and some leaping queenfish will open the sashimi account! In the morning we’ll target barramundi, golden trevally and reef species in Jade Creek and Atlantis Bay. Then as soon as the tide is high enough we’ll cross the sand bars at the mouth of the mighty King George! Our journey upstream will thereafter reveal a breathtaking river vista and, the very ‘jewel in the crown’ – The King George Falls! Here we anchor at the base of the falls and you will find endless places to explore. Climb, or take the helicopter to the top of the falls for a cruise highlight. If time and tide permit, a heli-fish in the revered waters of Nulla Nulla can sometimes produce once in a lifetime encounters with ravenous barramundi. And after all the day’s action is complete – relax with a much-deserved beverage as a blazing Kimberley sun slowly sinks into the sea! Wake this morn to find the TRUE NORTH at anchor in Vansittart Bay and join an early morning expedition to see the “Bradshaws” – possibly the oldest art known to man. The expedition boats will also visit Rocky Cove and Wade Creek in search of barramundi, fingermark bream and mangrove jack. The heli-picnic at Eagle Falls is always a ‘big hit’ – enjoy a sumptuous picnic lunch amidst breathtaking scenery. Whilst you are away the TRUE NORTH will move to the Osborn Islands and after a ‘day at the falls’ the keenest on-board can head back-out for a late afternoon session with the mackies! 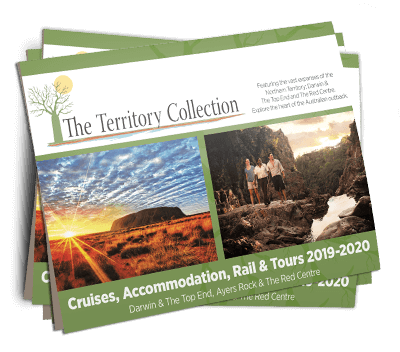 There’s so much to see and do in the Mitchell River – we have allocated 2 days to explore this icon of the Kimberley! The ‘Mitchell’ is renowned for big barra and even bigger crocs! The expedition boats will head up-stream to scenic Surveyors Creek – a great place for a swim (no crocs here!) The fishers will continue the hunt for the barra as well as ‘great to eat’ threadfin salmon and, the helicopter will offer spectacular flights over the Mitchell Falls! At the end of each day – join the crew for cocktails and other delights in the ship’s bar before revelling in more unique dining experiences in the TRUE NORTH’s ‘marri inspired’ dining saloon. There will also be more ‘Mackie sessions’ at Cape Voltaire and the Montalivet Islands and, the opportunity to go heli-camping to Cherubin Falls promises to be yet another cruise highlight. The Roe River is yet another opportunity to catch a barra as we explore a river that boats one of the highest crocodile counts in the Kimberley! The Roe was named after the first Surveyor-General of Western Australia – John Septimus Roe who conducted numerous expeditions along the Kimberley coast between 1829 & 1849 and, the ship’s helicopter will dramatically demonstrate the maze of creeks and endless coast that the early explorers encountered! The mouth of the Roe River is another ‘hotpot’ for threadfin salmon and in the afternoon we’ll sail into Prince Frederick Harbour and the mouth of the Hunter River for sunset drinks in Art Island. One last chance to land a barra or maybe the biggest ‘jack’ of the trip as we explore the spectacular ‘Hunter’. Then it’s time for your scenic heli-transfer to the Mitchell Plateau and light-aircraft flight to Broome. Our crew will already be looking forward to the next opportunity to welcome you aboard the mighty TRUE NORTH.